Marsala is the IT Color of 2015 according to Pantone. For you wine-lovers out there, this color takes the name after the wine - Marsala. As Pantone describes it "a naturally robust and earthy wine red, Marsala enriches our minds, bodies and souls." Well, this same color or a very similar shade of it was named Oxblood 3 years ago by Pantone and last year they referred to it by Sangria - another type of Wine. Some (like myself) call it Burgundy or Bourdeaux. Some call it Maroon, Cabernet or Cranberry. No matter what you call it, this gorgeous rich shade of dark, deep red is a beauty. And as far as I am concerned it is always in style, especially during Winter time. I do already own some items in this color, but I would also like tights, leggings, skinny jeans (preferably coated), a floppy hat, a purse, a dress and a sweater in this color. Below, I scored the internet and found beautiful options of my coveted Marsala items. Here they are for you? I am dying after the dress, bag and coated jeans especially. Everything above is less than 100 bucks, including the Gorgeous 7 for All Mankind Coated Jeans which are on huge sale. So, are you loving, styling, wearing Marsala this season? How do you feel about this robust, earthy color? Have a Great Tuesday Everyone. 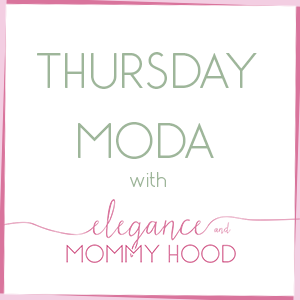 And stop by tomorrow because it is a Very Special Post here at Elegance and Mommyhood. Thank you for reading.